Eagle McMahon out of Boulder, Colo., won the men's pro tournament with a four-round total of 215, holding off Paul Ulibarri out of Scottsdale, Ariz., by two strokes. Ulibarri hurt his chances with a late double-bogey on the 16th cage, while McMahon tallied pars across the final four holes. He didn't suffer a bogey over the final 36 holes of the weekend. 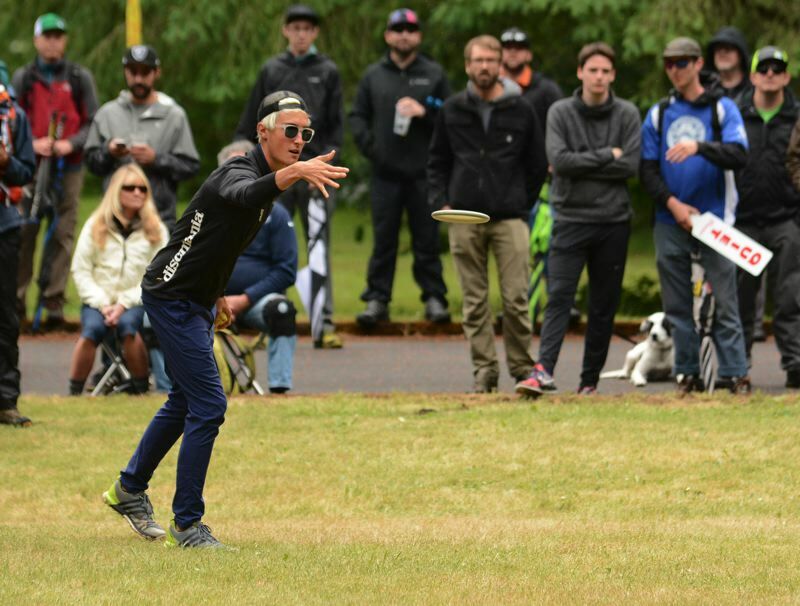 McMahon also moved to the top of the Pro Disc Golf Association Tour standings with two events left in the season. • Catrina Allen out of Madison, Tenn., won the women's pro event beating Paige Pierce out of Plano, Tex., in a one-hole playoff. Pierce held a three-stroke lead with three holes to play, but Allen got back-to-back birdies on 16 and 17, then watched Pierce double-bogey the final hole to earn a chance in the tiebreaker. Both players finished with 250 scores through regulation. Valarie Jenkins out of Bend finished third with a 253.